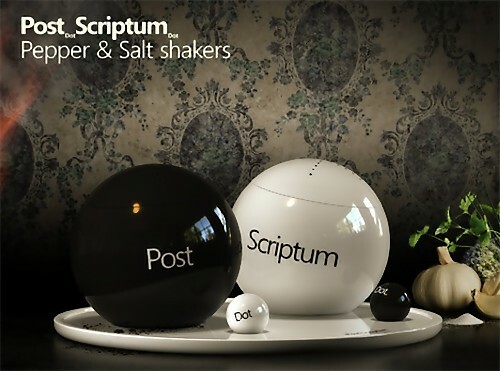 These cool salt and pepper shakers will turn any tabletop setting into a conversation piece. 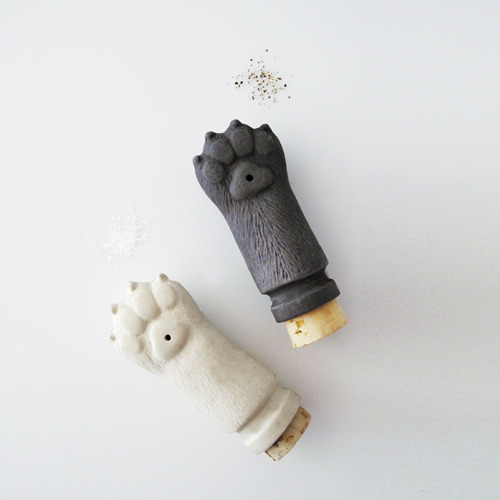 Salt and Pepper Pawz: Paw shaped salt and pepper shakers in stoneware with a cork stopper. Movers and Shakers: Movers and Shakers salt and pepper shakers don't need to be shaken, just pull the cord, reverse and hold. Salt and Peeper: A bird shaped salt and pepper shaker; just turn his head to the right and his eyes change from blue to white and his beak dispenses salt; turn it left and his eyes turn black and of course his beak pours the pepper. 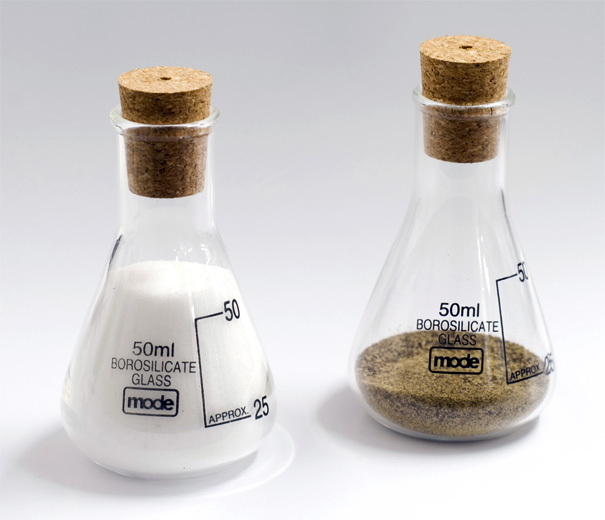 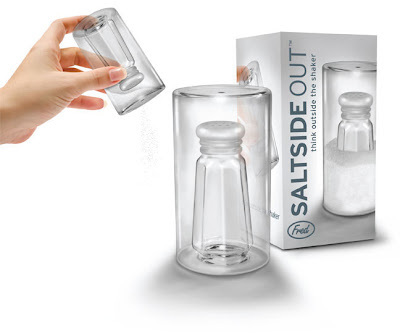 Saltside Out: This cool shaker defies logic by dispensing salt from the outside. 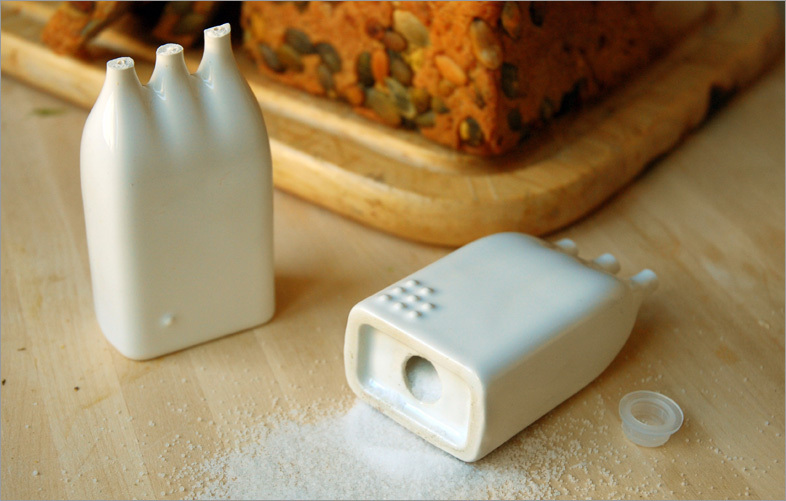 Egloo Salt and Pepper Shakers: These minimalist little shakers feature a graphic hidden on the inside until in use. 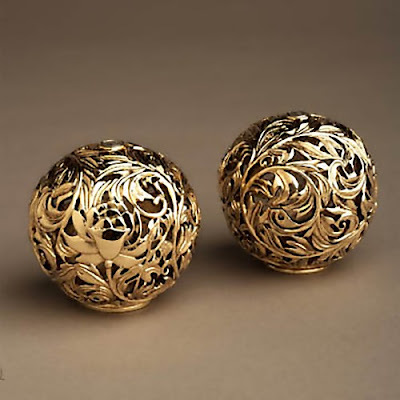 Acanthus Gold Salt and Pepper Shakers: Elegantly handmade and decorated with the finest quality Swarokski crystals, 24kt gold, and fine Limoges porcelain paste. 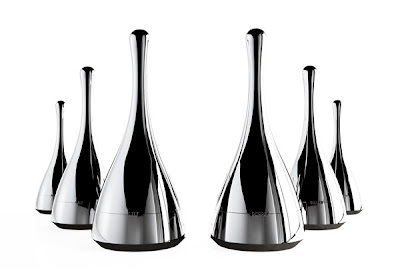 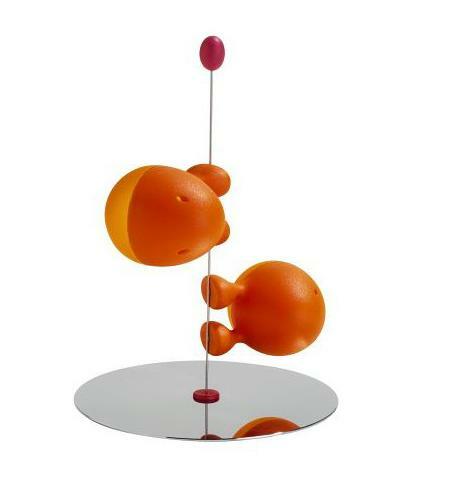 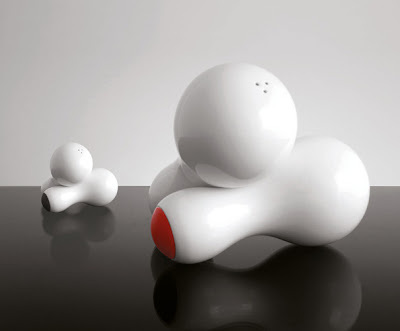 Alessi Salt and Pepper Shakers Set: Designed by Stefano Giovannoni for Alessi, this magnetic salt and pepper set can be positioned firmly on the base. 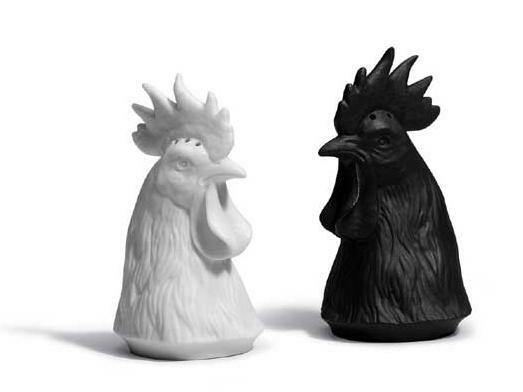 LladroGallus Salt and Pepper Shakers: Cool salt and pepper shakers based on the heads of the rooster. 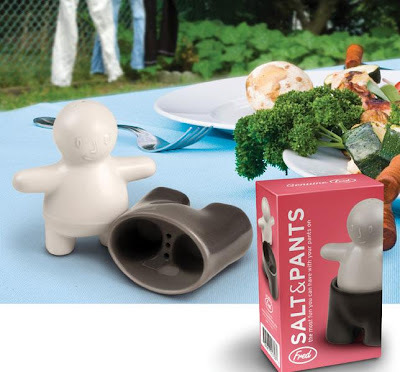 Salt and Pants-Salt and Pepper Shakers: This spicy little guy dispenses salt from the top of his head and pepper from his trousers. 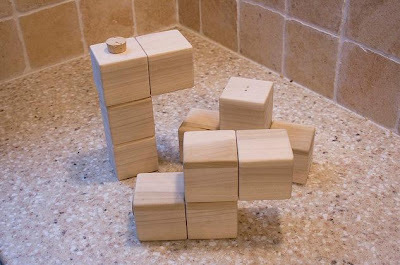 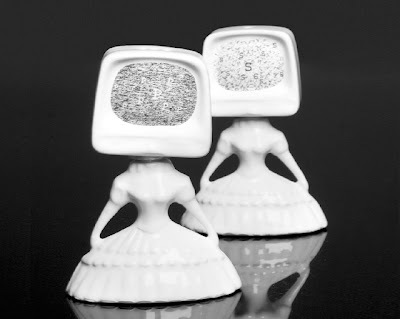 'Fragile' Salt and Pepper Shaker Set: Its made of ceramic, and when broken in half becomes a salt and pepper shaker set. 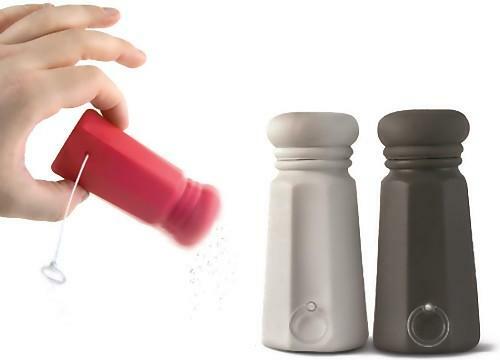 Bell and Bell Salt and Pepper Shakers: These salt and pepper shakers are a modern take on the classic, just twist the bottom section to line them up and shake. Samba Spice Shakers: These cool salt and peppers shakers called the Samba are handmade and come in three versions and two finishes. 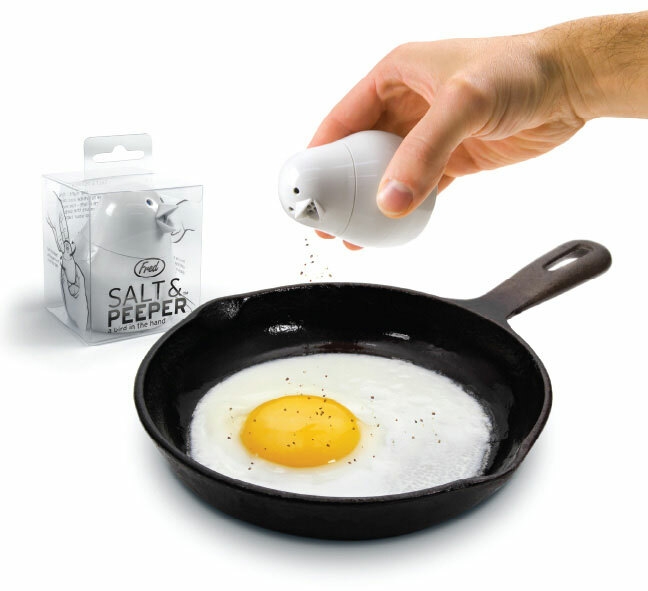 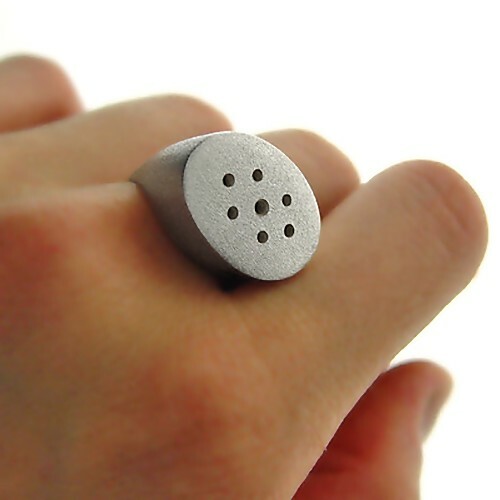 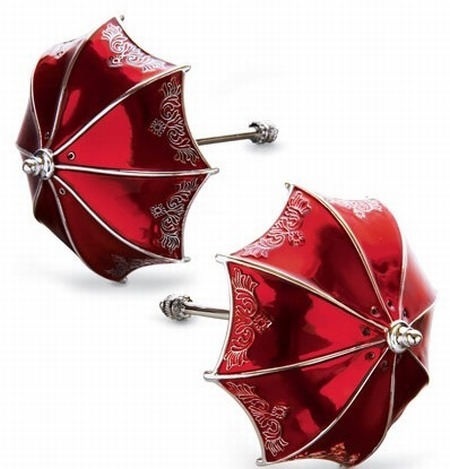 Don't miss to check out "Cool Salt and Pepper Shakers - Part: 1| 2| 3| 4."